Keeping in mind the diverse requirements of our clients, we are engaged in manufacturing, supplying and distributing a wide range of Device Programmers. These Device Programmers are offered at nominal rates. 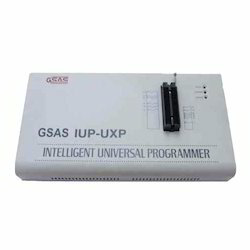 Universal Programmers is an advanced version of our earlier model GSAS IUP-XP, which works through a PC’s parallel port & USB port. 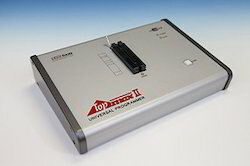 It features a 48pin universal pin driver and an expandable TTL pin driver.